Rebecca trained at ALRA following a degree in English Literature at Cardiff University. Film and television work includes Grace's Land (Fearnort Films), The Interview (BBC), The Dead (Channel 4), and an array of short films. For Dyad Productions: performer, Jane Eyre: An Autobiography; writer and performer, Christmas Gothic; performer, Dalloway; writer & performer, Female Gothic; performer, The Diaries of Adam & Eve; writer & performer, I, Elizabeth; writer & performer, Austen's Women. She also produced The Unremarkable Death of Marilyn Monroe for Dyad both at the Edinburgh Festival and its subsequent UK & international tours. 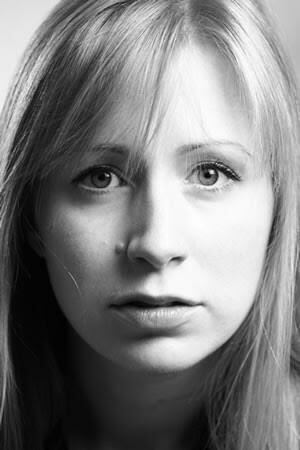 Other theatre includes: Jeepers Creepers (Leicester Square Theatre), The Picture of Dorian Gray (Bill Kenwright), Room 24(Nuffield Theatre); Havisham(BAC); As associate artist with Lanternfish Theatre Company she played Hermia in A Midsummer Night's Dream and Mrs Hawkins in Treasure Island. She studied physical theatre with Sachi Kimura (student of Philippe Gaulier) and continues her wider training at both The Actors Centre and City Lit.